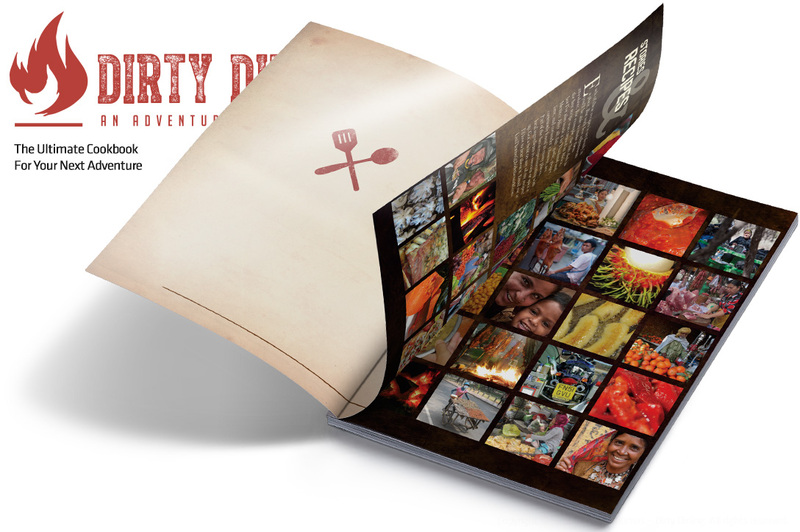 Stumbling across a particular book has lead us to further explore the issue of “food” whilst on an adventurous motorcycle journey. It isn’t so much about choosing the “right location”, as to how to organise and be self-sufficient from a culinary point of view. 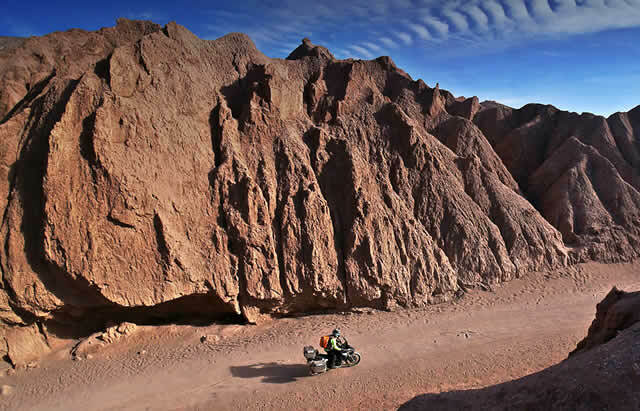 Stopping in a beautiful setting, getting off the motorcycle, turning on a stove and cooking a decent meal … it all increases self-esteem and we are sure that this has crossed the mind of motorcyclists more than once! Well, you are in the right place to find out how to organise this new challenge. The quality of the food served in the odd tavern encountered in remote regions of the planet is not always gourmet. In such situations, the opportunity to have all you need to cook lunch or dinner can save your life (and surely your stomach)! Unlike those traveling by camper-van with the comforts of home available (fridge, hob, pantry, etc) the space available on a motorcycle is both restricted and rationed. As a result, when we talk about food on a motorcycle adventure, we mean enough supplies to provide energy and concentration while riding for a couple of days. The choice of foods to carry on a motorcycle is as important as choosing the cooking utensils that will form part of a traveling kitchen. 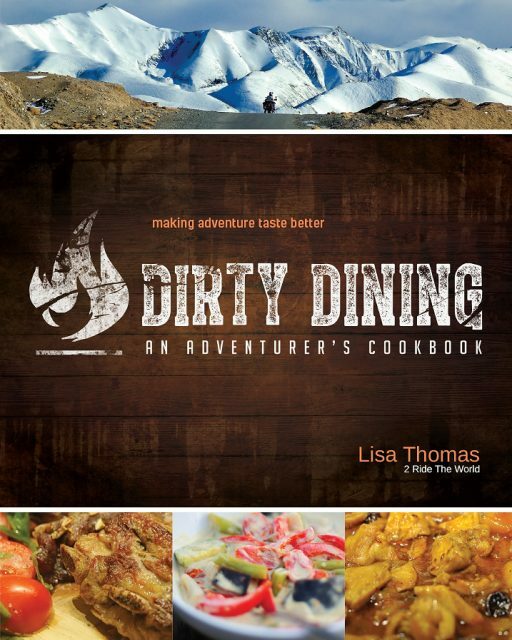 The book quoted in the table of contents is entitled “Dirty Dining – An Adventurer’s Cookbook”. It was written by Lisa Thomas (an ex-health and fitness professional and long-time motorcycle traveler: we’re talking about 450,000 miles across 78 countries). In the pages of her book, the author delivers recipes, practical tips and ingenious solutions on how to cook on the road. Her wealth of valuable tips include..…. – How to use a corn-cob to light a fire. – How to “interact” with garlic to avoid peeling. – Antibacterial cleaning of crockery, cutlery, etc. when water is limited. – How to correctly store food on a motorcycle (without contaminating it with exhaust fumes). – How to intensify flavours. – Canned food and tins: choose the mini ones as once opened, large cans and big packs are problematic to carry. – Which containers to use for liquids and fresh food. From the point of view of the actual cooking process, the recipes proposed by Lisa all follow an identical set of steps which begin with the use of local spices. According to Lisa, looking for food that “travels well” during a motorcycle adventure that will also provide the body with necessary fuel is not that difficult. For example, pineapple is both a fruit but it can also act as a container. As well as being relatively easy to find and store, it is an excellent source of both vitamin C and fibre. Pasta, especially spaghetti, is not cumbersome and a packet of pasta can provide a number of carbohydrate hits. If looking for a quick snack while on a trip, opt for nuts or seeds such as sunflower seeds or almonds: they weigh very little, take up very little space and help maintain energy levels. Bananas contain vital nutrients as well as carbohydrate and fibre, but their strong point is potassium, an element that controls muscle cramps and can help to regulate blood pressure. In certain locations around the world, bananas are readily available while on the road and plantations can also be found. How about using honey instead of sugar? According to Lisa, honey is a healthier choice and unlike sugar, it does not deteriorate with the heat and neither does it need to be refrigerated. It can be added to any food as a sweetening agent or used just to improve the flavour! The choice of vegetables is based on what is available locally and fresh, locally sourced vegetables are surely healthier and more nutritious than those that were pre-packed days or even weeks previously. Obviously, fresh vegetables need to be used quickly as they will not stay fresh for long when being stored on a motorcycle. In general, while reading Lisa’s book you can appreciate the simplicity and speed of the preparation of the dishes featured, which are accompanied by clear step-by-step images. To those who say that they prefer riding to cooking, we reply that apart from being a worldwide trend, cooking is not only part of the adventure but also the philosophy of survival. Becoming acquainted with pots and pans may shatter the magic but the necessary ability to cook is something that needs investigating and should not be underestimated and it is essential that the equipment to be used is well thought out but minimal. Even though you may be able to single-handedly light a fire, a cooking stove is truly indispensable. There have been great strides in this area of technology with the invention of multi-fuel models such as the Optimus Nova, which can use gas, oil, petrol or even diesel! There are even small kettles and coffee pots that work with a USB stick (that can be powered using a motorcycle battery). Cooking utensils need to be matched to the “heat generators” being used. In general, there are very few essentials; a cup, cutlery, a wooden ladle, a foldable water bottle (those by Platypus are gorgeous), a pan, a heat seal, two or three small transparent containers with a lid to hold salt, pepper, oil … a 35mm transparent film roll and some vacuum bags for the transportation of fresh food. As far as materials are concerned, good metal implements are perfect for cooking, steel for cutlery and plastic for the rest. Looking at some of the offers available on the internet, it is amazing how compact a travel kitchen can be, thanks to the “matrioska” design. A multipurpose pocket knife will come in very handy and whatever you do, do not forget to pack a lighter and waterproof matches. A second book dedicated to cooking on the road and written by American biker / writer Ken Aiken and entitled “Cooking On Two Wheels” should be released early next year.